To use psychedelics without using yoga limits the vast potential and strays from the ancient use of psychoactive substances. Shamanic cultures treat plant medicine with great respect. It is their doorway to the realm of the Gods. Today Himalayan Yogis and Naga Babas use mainly Ganja as a sacrament to achieve cosmic consciousness. They drink a powerful psychedelic bhang which is made from various herbs and Ganja. Some esoteric sects are known to smoke cobra venom and use datura. 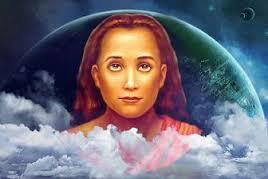 In modern times Kriya Yoga was brought to the west by Yogananda back in the 1930’s. The Kriya practice was made palatable to prudish western society and the use of plant medicine was never mentioned in his teaching. His lineage goes back to Babaji the deathless yogi, who brought the Kriya practice into modern times. He appeared to Lahiri Mahasaya giving him instructions of his past lives while during a psychedelic trance that lasted 3 days. Lahiri then taught this esoteric breathing meditation practice to lay men and women in the 1930’s. Babaji is a great master of yoga living today in the Himalayas who is sometimes called Kriya Babaji Nagaraj, Mahavatar Babaji or Shiva Baba. During the past forty years, several books, beginning with the Autobiography of a Yogi by Paramahansa Yogananda, written in 1946, have referred to the great spiritual master, Babaji, who for centuries has lived in the Himalayan mountains, appearing occasionally to a fortunate few. " He is attributed to having attained mastery over life and death. He comes and goes in and out of this earth plane from time to time. Often appearing in a ball of light, then taking the form of a youth. Leonard Orr (1980 and 1983) identified him with a youth who appeared near Ranikhet in about 1970. He appeared to Leonard in a dream and told him to come to him in Harikhan. He was visited by many Westerners up until his sudden death in 1984. I was one of them who visited him in the 80’s about a year before his passing. I had the good fortune staying with Haridan Baba in the 80’s for several days. Here is an excerpt from “The Master in the Mirror” describing that time. Although the realization I'd had with Sri Nisargadatta Maharaj had been the straw that broke the camel's back; the question still remained, "Why? Why am I here? What is the purpose for being here?" These questions gnawed at me and I was led to seek out my roots. Since early childhood I'd had a recurring dream. Somewhere in a valley near a bend in a river sits a magnificent temple high on a sacred mountaintop. After a long and arduous journey to reach the summit, I stand before the temple doors which are made of precious jewels. The doors open mysteriously to reveal the presence of an enlightened master who imparts to me the secrets of divine wisdom and eternal life. Thus I attain spiritual liberation in this lifetime. So it was that I started on a pilgrimage to Hariakhan in India where I'd been told I might meet such a master Hariakhan Baba. I'd been advised that it would be a strenuous but rewarding journey. Still, no one could have prepared me for what was to take place. The seven-hour bus ride from New Delhi had seemed endless. The roads were treacherous and there was danger at every bend. Indian bus drivers are notoriously reckless, and this one was one of the worst. He had driven so close to the side of a precipice, balancing the bus on two tires, that it was an absolute miracle we hadn't capsized! I was scared out of my mind during the whole chaotic ride, sitting in the far end of the bus. My seat wasn't attached to the floor and I was holding onto it for dear life. Every time we went over a bump, I went flying in the air, hitting my head. I was sure we weren't going to make it! To boot, as we flew along the unpaved road through a thick cloud of dust, I noticed a crashed bus on the edge of the path, flipped over on its side! That Was definitely not reassuring! I kept praying the whole way, please, dear God, please protect me! Prove to me that you are true! The heat was unbearable inside the bus jammed with passengers. At every stop, I kept hoping someone would get off. Instead, more people crammed in! And it seemed like the bus kept stopping all the time. Bathroom stops. Food stops. Gasoline stops. Bus stops. There was constant commotion, with the driver and the passengers screaming at each other (About what? I had no ideal Then the bus would suddenly come to a screeching halt, and people would scurry out into the fields nearby to relieve themselves. A while later there'd be more commotion and more yelling and screaming. We'd cram back into the bus, and we were off again on the hell ride. I tried to remain vigilant to know where to get off. But it was impossible to keep track. There were no signs on the roads, nor any identifying marks I could understand. At one stop I took a chance and rushed off to get something to eat. But one look at the food stall made me change my mind: between the burning rancid oil, the decayed fish and the urine, I don't think I've ever smelled anything as horrid in my whole life. It actually turned my stomach. I did manage to find some food that was safe enough (a hard boiled egg and a piece of white bread). With that and bottled soda water, I was set. And I jammed myself back into the bus. God only knows how I managed to get off at the right stop, but I did. As the bus drove off in a mist, I stood there holding my bag, wondering where to go. I looked around and saw a few Indians walking up and down the road, women carrying water pots on their head. I knew I was supposed to go to the Almora dam from here. But how? Exhausted from the heat and the long bus ride, I spread out my jacket by the roadside and lay down to rest. Soon a young boy, maybe nine or ten years old, approached me and in his own brand of sign language, asked what I was looking for. I said, "Hotel!" He gave me an indication that he knew of a place, so I got up and followed him. A quick glance at the Indian-style room, however, and I got the picture. Bugs crawling along the floor, dirty blankets, a rope mattress, soiled walls; it was a nightmare! I nearly ran out screaming. I walked around for a while, hoping to find someone who spoke English. I was getting worried that if I had to walk all the way to the Almora dam, I would never make it by sundown. Then what? The thought of sleeping under the stars made me shudder. I thought, I have got to find a ride! I noticed a Sikh in traditional garb idly standing next to an English-made car. I went over and asked if he could drive me. He said he wasn't interested; he was waiting for his boss. I offered him some rupees and I saw a gleam in his eye. I handed him a few more, which he quickly grabbed. We jumped into the car and sped off down the road. Here was another one who drove like a maniac, slaloming around dogs and cows and people along the winding roads. I guess he was hoping he could get back in time before his boss found out he'd left. I just hoped he would get me there in one piece! We drove quite a long way towards the foothills of the Himalayas. As we approached the dam site and its dried out riverbed, the driver abruptly screeched to a halt, and announced, "This is as far as I go, sir! The rest, you must do by foot." Uncertain, I stepped out of the car. No sooner was I out, than the man drove off ... I yelled out, "But... where is Hariakhan?!!" Pointing in the direction of the north, he yelled out his window from a distance, "That way! About 15 kilometers!!!" I suddenly felt let down, lonely and discouraged. Everything seemed so arduous! My bag weighing heavily on my arm, I resolved to start walking. Some people strolled by. I caught the eye of a young villager, who smiled and meekly asked, "Do you mind if I walk with you, sir?" I thought, "Are you kidding? I'd be glad if you walked with me!" He added, "Speaking with you will help me practice my English!" As we walked down the path, I described where I was headed and he graciously promised to show me the way. Delighted to have a companion, I felt that things were looking up. I asked him how far it was. He said, "We can make it by sunset" We followed the riverbed, wading barefoot through streams that crossed our path. The water from the Himalayan glaciers was freezing cold and very pure. You could see to the bottom of the streams where stones were shining in the sunlight like brilliant stars. It was an amazing walk. I began to contemplate on the story made famous by Yogananda in his “Autobiography of a Yogi” where he describes a 2000-year-old yogi named Babaji of the spiritual lineage of Shiva. I wondered if Hariakhan Baba and Babaji were one and the same. I remembered from some distant past life memory that the hill yogis of India carried ganja in their pouch and offered it to fellow yogis as a traditional gift. I thought, "If he is Babaji, he will offer me some ganja." A vivid past-life recall flashed before my eyes... Pulling me out of my reverie, I heard a horse trotting along the road behind us. I glanced over my shoulder and caught the eye of the rider. It was a woman. She smiled, slowing down her pace to a walk and motioned for me to ride her horse. Surprised, I immediately protested, "I can't take your horse!" The young man intervened and said, "But sir, you are a man." He explained that in India it is not fitting for the man to walk while an Indian woman rides. I chuckled and thought, "Is this really happening in the 20th Century? or am I lost somewhere in time?" The young man said “you will do her a genuine disservice by refusing to ride her horse”. Without hesitating, the woman slid off her horse and handed me the reins. She was smiling broadly. I thought, "How interesting! In my culture, it would be exactly the opposite!" Somewhat embarrassed but genuinely delighted, I humbly took the reins and mounted the animal. Leading the way, the woman walked and ran in front of the horse, with my traveling companion running alongside me. It took me a while to relax into this set-up, but I got used to it and allowed myself to enjoy the ride. Suddenly there was magic in the air. It was as if the valley we were entering was unfolding in my inner vision. The rocks appeared to glow ever so slightly with a subtle energy. Everything radiated life. I had the impression I'd been in this place before. It was like returning home. As we came around a bend in the river, I immediately realized this was the place I had dreamed of again and again during my youth. I started to describe the area to my companions. I knew exactly where everything was, including the brilliantly colored temple on the far side of the river bank. Suddenly, pointing to a small figure far away in the distance, I said with authority, "There's Harikhan Baba!" I just knew it was him. I thanked my companions for their wonderful assistance and we parted company. Starting up the one hundred eight steps leading from the riverbed to the ashram, I felt at ease, not at all excited. Like a prodigal son coming home, there was no need to rush to get to the top. By now the sun was setting and it was starting to get chilly. Entering the temple grounds, I was just taking off my shoes when I was greeted by a nasty old Indian man who demanded I pay him in advance for my stay. He snatched the rupees I handed him, counting them closely as if I were trying to steal my way in. Irked by this treatment, I wondered how they could have picked such a weirdo as the welcoming committee. A French woman came over and acquainted me with the ashram rules. (God, do I detest rules!) No smoking, no drugs, no alcohol, no bad moods. I went looking around for a place to stay. I felt moved to take a room occupied by a Dutchman, Timothy a scrawny shaven head fellow who looked like he had been in India too long. He had taken one side of the room, with his bags and clothes hanging neatly from a nail, the other half was clearly empty no mat, no blanket, nothing. I set my bag down and went off to Satsang. Everyone was gathered in the meditation hall waiting for Baba's arrival. There were mostly Indians_ and a few Westerners, women on one side, the men on the other. By now it was getting cold, and I thought of the summer clothes I had brought. Why hadn't I remembered to bring a warm sweater? That was a dreadful mistake. There was a stir and Baba walked in. He exuded charisma from every pore of his Being. About 5'8", thick brown hair, big dark eyes, round and jovial, with a smile so attractive you couldn't help but be seduced. His beauty was ageless, and I sat there admiring him in silence. Then a chant seemed to well up as if from nowhere. Hari Bol Babaji, Hari, Hari. Drums appeared and cymbals clashing. A devotional fervor filled the room. some devotees jumped up and began to dance spontaneously. I was rocking back and forth to the rhythmic chant. Hari Bol! Hari, Hari! I was swept away by the ecstasy. Devotees began coming up , before his chair during the chanting and prostrating themselves at his feet. Others approached him simply to offer their respects, hands folded bowing reverently. A dwarf was dancing around him . It was a vision from another time. Baba would offer devotees some sort of sweet candy, or give them a friendly slap, which seemed to induce an ecstatic trance, or press his finger between their eyes. They would then fall back to be caught by attendants and gently laid down. Some would shudder uncontrollably or cry out in an ancient language. The room was filled with light, and I felt waves of Bliss welled up in me. I cried out uncontrollably Hari! Hari!. My heart was filled with joy. Babaji was laughing and looking directly at me as if to encourage me to come forward. At one point I felt moved to approach his chair with a gift I had brought for him. It was a beautiful cream color wool Kashmiri shawl. I bowed down lifting the shawl up to as if for his approval. He playfully put it over his head like a woman's shawl and we both laughed. His laughter made me melt inside; I felt like bliss was resonating throughout my entire body. Still glowing from the intensity of the moment, I somehow returned to my place in the temple, feeling utterly connected to every one in the room. It was as if they were my body. Then as a flash of light before my eyes, I saw him shape shift and he turned into Bubba, Free John he had the same eyes, the same flowing hair, I was in the room with Bubba it was uncanny. 1 had to rub my eyes to make sure it wasn't a hallucination. It didn't last long, and then he was back to himself but I was left wide-eyed, wondering how such a feat could have been possible. I began to hear the wild ecstatic chanting again I began clapping my hands. Exalted, I was rocking back and forth to the rhythm of the beat, feeling one with the Intensity of the sound. In the midst of all this wildness, the translator came over to me at one point and said, "Baba wants you to go to the kitchen and have a cookie he had made for your arrival for Prasad." Obediently stepping out of the meditation hall, I found my way to the kitchen and spotted the platter of cookies laying on the table. Not giving these cookies a second thought, I grabbed one and swallowed it quickly. I returned to the hall and took my seat. Baba's eyes were so intense, I found myself gazing into them as if I were mesmerized. But I felt much grounded absolutely present and aware... Minutes later, he insisted that I get another cookie, but this time, I thought, "I can’t seem to get up again," so I candidly said, "No, Baba, to be in your company is Prasad enough!" Making fun of me, Baba mimicked my reply, probably testing my confidence. I felt a fleeting twinge of tension as I heard Leonard Orr, who was sitting next to me whisper, "You're supposed to do what the guru says!" But I thought, "No, its okay to say no." At one point, Baba looked over at me and, through the translator, ordered me to stay in the third room on the left of the entrance. (That was the one I had chosen! Was that a coincidence or what?) Later when he saw I was cold, he sent someone to his room to get one of his blankets that he personally used. He was very specific as to which one they were to retrieve for me. Looking at me with incredible intensity, he declared, as if this were the most important thing he would ever have to say to me, "Make sure you return this blanket right here when you leave!" Pointing to a place in the Sat-Sang Hall. Surprised, I thought, "What's the big deal? Of course I'll bring it back here." He repeated himself again to make sure I had heard him. I felt a bit annoyed. But I had the feeling he had something up his sleeve. It seemed like some sort of a set up. Later, returning to my room, I anticipated having a sleepless night because of the cold temperature and the hard adobe floor. Wrapping myself in Baba's blanket, I sprawled down and made myself as comfortable as possible. Reviewing the events of the evening, a gentle glow started to envelop me, as if I were wrapped in a heating blanket. It was an incredible experience. It makes absolutely no sense and no one would believe it, but that thin blanket kept me warm the whole time I was there, the floor felt like a bed. I slept like a baby. The next morning as we were waking up, my roommate commented, "You must be the yogi Baba was expecting." "Oh?" He went on to explain, "Baba ordered a special Prasad to be prepared for an ancient yogi who was arriving .It must have been you. You were the only one who has arrived in days. He had the villagers bring in ganja. He never has done that, he does not condone the use of ganja for westerners and won’t allow its use or possession at the ashram”. He said this was a present for a Shiva Baba an old friend. And that hill yogis exchanged such gifts in ancient time. My new friend Timothy, then helped me with the Ashram protocol. It was four in the morning and we made our way down to the river below the Ashram, to bath and have our toilet. It was freezing cold in the moutain water. We ducked our heads under the water. Three times, Chanting Hari Bol Babaji! It was accelerating. After our bath we climbed back up the 108 steps in pitch dark., waiting for arti the fire . It was part of an ancient ceremony. I thought that the ganja cookie was the premonition I had coming up the river bed on the way to Harikhan." I wasn't even affected by it. I didn't get high or feel a thing!" I said to Timothy who was standing next to me. He laughed. "That's the way it is around Baba. Everything dissolves around him." 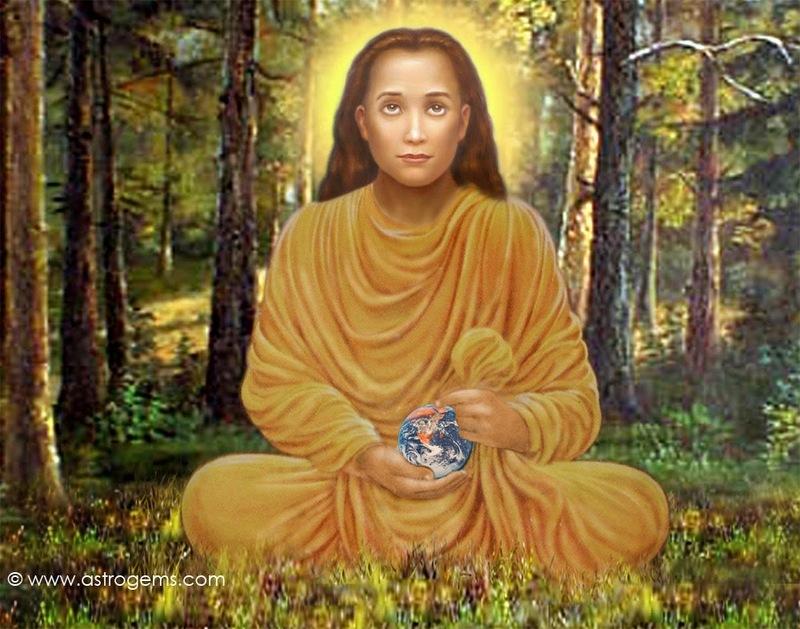 I murmured admiringly, "Yes, Babaji!" He went on to tell me of stories about Baba: tales of miraculous healings attributed to him, his ability to appear to devotees in dreams, even rumors that he could produce rainstorms at will and be seen in two places at once.. When he first returned in this lifetime to Harikhan. The villagers said he appeared suddenly as a youth in a bright light, sitting on an adjoining mountain in meditation for forty days; In his previous life one day he walked down the 108 steps into the roaring current of the river during the rainy season, taking what is called gel Samadhi. A conscious death. He wasn’t seen for years. Until this radiant light was seen on the mountain. The villagers became curious. And went over to investigate. They saw this youth a man in his early twenties sitting in deep meditation. He sat there for forty days. Then he then came down from the mountain and announced that he was Harikhan Baba. The deathless Guru. And that he had returned during this time to lead devotees back to God. Initiation. Everyone squeezed together on a narrow platform, leaning towards the wall that led to the fire room. I thought it strange that everyone was pressing up so tightly against the wall. It didn't seem necessary. But it was dark, and I couldn't see anything. One by one we were ushered into the fire room, a tiny space with a blazing fire in the center. Baba was sitting in the lotus before the fire, exuding incredible intensity. He was absolutely beautiful to behold; a blue halo surrounded him and with those enormous eyes, I couldn't resist submitting to his all-pervading power. I knelt and bowed before him. He ran his three fingers across my forehead and marked me with the white ash the sign of Shiva then he put a dot on my third eye, chanting "Om Nama Shivaya". I felt the Shakti energy shoot through my body like lightning. A ball of light surrounded my whole being. I felt I was being bathed in the fire of purification. Then an attendant motioned me to leave and I stumbled out of the room. I could still feel my forehead burning as if singed by his three fingers. I was starting to come out of the trance like state. Slightly disoriented. The sun was just coming up on the horizon. The sky was breathtaking. I felt God’s presence. I then looked around me, and realized why people were pressing up against the wall: the narrow passage to the arti room over looked a ravine that dropped some two hundred feet straight down! One slip of the foot, and it would be all over. With my deep fear of heights, I was grateful I hadn't been able to see the danger or I might have skipped the fire ceremony entirely. what a powerful experience it had been! I felt afterward that I would never be the same. All that day I had the impression of walking through space just slightly above ground. It was a strange sensation. Everywhere I went, every leaf, every blade of grass seemed to glitter like a shining star. I had the distinct impression that the mountain was conscious. That afternoon I went for a walk beyond the Ashram, and I was drawn to a little creek which I followed for a mile or so in the Himalayan foothills., until I came to a spring hidden around a bend in the path. The rays of the sun beaming through the leaves of the nearby tree sparkled through the water drops, flashing brilliant glimmers of light in all directions. I felt as though I were intoxicated with the beauty of these surroundings. Cupping my hands, I drank a few sips of the vibrantly crystal clear water. Suddenly I went into a heightened state. I was in a realm of light... I sat down next to the stream. Spontaneous kundalini Kriya moved through my Being. The next thing I knew, a loud internal gushing sound was washing over me and I realized it was the sound of my breath. Then I became aware I'd been sitting there for hours, although it had only felt like seconds. This was indeed a magical place! As I slowly walked back to the ashram, I could hear a melodious call in the distance, "Hari! Bole! Babaji!" that sent warm shivers through my spine, filling me with delight. Then I had a divine vision. I saw Baba (or was it Shiva?) and his entourage walking down the mountain, an attendant carrying a tasseled processional umbrella to shade him from the sun. There was a man blowing a conch, and the ever-present dwarf skipping along beside him. The scene was from another time. I no longer had any doubt that this was Babaji. The deathless Guru. Watching the procession from afar, I was in awe of the mystical significance of the moment. Later after dinner Timothy told me Babaji said one of his attendants should tell me to walk up the river bed and to follow the stream to its source. And that I should drink of it. But no one was able to find me. He asked me where I had been all day. I laughed to myself. Indeed Babaji was all knowing We where in complete communion. The four days I spent at Hariakhan went by to quickly. Most of the time we would spend simply sitting in Babaji”s company in silence. Food was served once a day at noon on banana leaves. It was tasty. and although modest by western standards strangely filling. Finally I had to make arrangements for my departure. After the final darshan with Babaji, laughter and hugs. I grabbed my bag and ran out the door. Dashing down the hundred and eight steps 108 steps to the dried out river bed to catch the horse pack, which came by randomly at no specific time. I didn’t want to miss the caravan or I would have to hike out by foot. Which would take a good days trek. I could see the horses waiting on the hill in the distance, and I thought, "They better wait for me, or else I'll have to stay another day or two until the next time they come by." As I mounted the horse, I heaved a sigh of relief for making it just in time. Trotting away, I looked back to get one final glimpse of Harikhan. Then it suddenly dawned on me: I had left the magic blanket in the room! Baba was so adamant that I be sure to leave it in the meditation hall! I thought, "Oh, my God, he knew I would forget! Feeling terribly embarrassed, I realized this was yet another sign of Baba's all pervading power. He knew I would leave with the blanket. The trip back to New Delhi was as smooth as the initial ride had been traumatic. I had time to reflect on everything that had happened and allow the shift to stabilize. Since then, my meditations have deepened. My Kriya practice took me to conscious samadhi. I found my roots in a conscious lineage. It was a deepening of my Kriya practice which occurred from the source. Babaji. On a very deep level, I am connected to these Himalayan yogis and to their great tradition of Kriya Yoga. I know now that I belong to their ancient future. That was the gift I received at Hariakhan's. My Kriya yoga practice had a quantum jump as a result of my being at Hariakhan. I attribute it to my meeting with Babaji. "The entire universe is your Guru. You learn from everything, if you are alert and intelligent. Were your mind clear and your heart clean, you would learn from every passerby. It is because you are indolent or restless that your inner self manifests as the outer Guru and makes you trust him and obey." "I am John Krajewski, a visionary artist from back in the 60's having done posters and Album covers. The rolling stone called my cover for "Iron Butterfly Live" mystical and visionary art. My art was a way to convey the ecstasy and experiences with psychedelic Kriya Yoga. My initial discovery of Kriya Yoga occurred under LSD. I have had initiations is this Sovereign Science by Masters through out the east. In India, Indonesia, and Burma. Forms of Kriya Yoga are know in all ancient cultures. I am forever grateful and deeply respectful to all the teachers I have met. In a forthcoming blog I will share some of these encounters. I have practiced steadfastly for over 45 years with and without plant medicine. The real initiation happens as you do the practice. Kriya Yoga is the real inner teacher. It is a love affair with the Divine."